Blogging is specialty work that only the elite can make money from. Well, that’s what I thought when I got started but luckily I found out different. My favorite and an easy way to start generating some income from your blog is through affiliate marketing. Many companies have affiliate programs and when you sign up to join the program you’ll receive an affiliate link. You can then insert your affiliate links into your blog posts. If one of your readers who clicks on the link buys a product, you can earn a commission. The amount of the commission will vary from company to company. Be sure to check out the different programs to make sure you’re getting the best commissions. For example, if you have a business blog and you wrote a blog post about time management, you could find affiliate programs for books, programs, products, just about anything that has to do with elements of time management, and then you can add those affiliate links to your blog post. If any of the people reading that post purchase a something through your affiliate links, you’ll earn a commission. Always make sure that the affiliate links you are using are to products or services your readers are interested in. You will also need to create a disclosure page on your blog, letting your readers know that you do have affiliate links on your blog and that you could earn income by them purchasing something that you link to. There are people out there who earn a lot of money (more than six figures per year) with affiliate marketing. They are known as “Super Affiliates,” but these people are few and far between. Don’t expect overnight success. Affiliate marketing takes time and attention to build up. But, it’s definitely worth the amount of time it takes to insert a few links into a blog post. Another way to make money is through displaying ads on your blog. You can sign up for Google Adsense and display ads on your blog through Google. When someone clicks on these you will get paid a commission. Essentially by using Google Adsense you are helping Google with their advertising and they will pay you a small commission for driving traffic to their ads. You can find out more and apply at Google Adsense. You could also sell ad space on your blog directly to businesses. The more traffic you have, the more you will be able to charge for ad space. Look at your competition and see what they are charging when you are setting your fees. To make a fair amount of money with advertising you will have to have a lot of traffic coming to your blog. If you do you might want to check into this option. Some bloggers work with brands who pay them to do reviews and giveaways on their products and services. You will need to have a good following before a brand will pay you for this. They may start out by having you do unpaid giveaways. 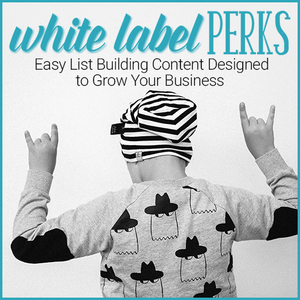 This is a great way to start, though, because it helps you build your traffic up to the point where you can start getting paid to do these things. There’s a lot more to creating a profitable blog than meets the eye. It’s not hard but it does take time and consistent commitment to create a successful blog. I went through the Smart Blogging Skills course and learned so much about building and promoting my blog. If you’re looking for some great advice I recommend you check it out. 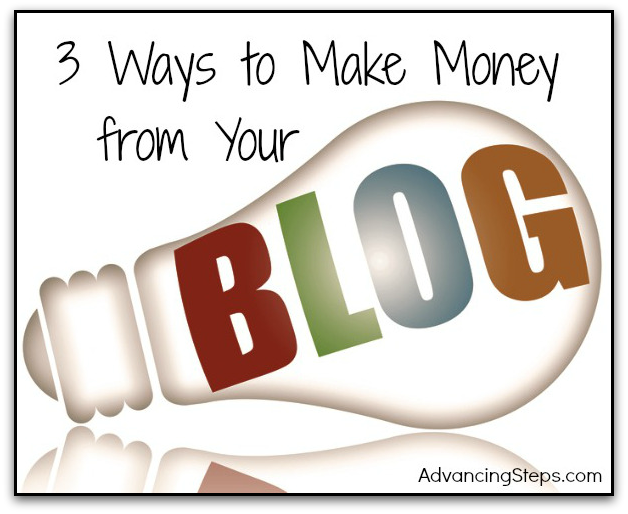 What’s your favorite way to monetize your blog?